Remember to vote on Election Day! At the bottom of the ballot are 4 propositions the School Board voted to place there - Propositions A, B, C, D. These propositions impact the kids served by Dallas ISD. 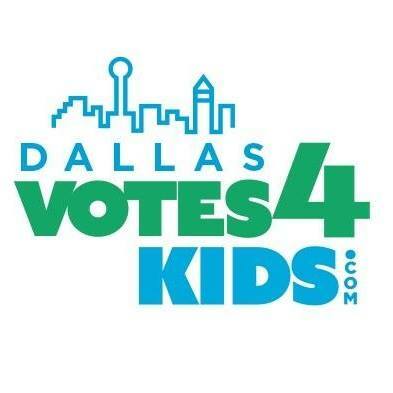 Dallas Kids First recommends a vote ‘FOR’ all 4 propositions. Proposition A will ensure that students’ transportation needs are met over the next 10 years. Proposition B will free up $75 million in the operating budget to be used for campus needs. Proposition C is requesting voters to approve a property tax increase of $0.13 per $100 of home valuation to fund teacher pay raises, Pre-K for more 3- and 4-year-olds, college and career programs for high school students and other programs. Those who are 65 or older qualify for a senior homestead exemption which freezes the property tax rate from any increase. Proposition D allows the district the most flexibility in terms of how it makes recapture payments to the state. This approves HOW, not WHETHER, these payments are made.